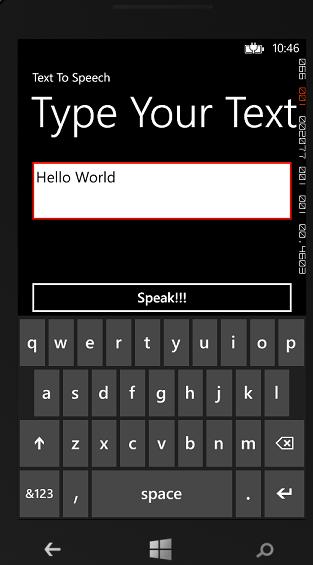 Windows Phone 8 has included the Text to Speech feature out of the box in the platform.Text to speech is very easy to use in your App (only takes 2 lines of code) using ‘SpeechSynthesizer’ class. Copy and paste above code in button ‘Click’ event. Also we can set the ‘VoiceInformation’ (i.e., Language, Gender etc…) to the speech. Refer link for more details.